In the absence of any guest flash fiction (where are you, short story writers? ), today we have a guest blog post, brought to you by literary and contemporary novelist and spotlighteeRayne E Golay. 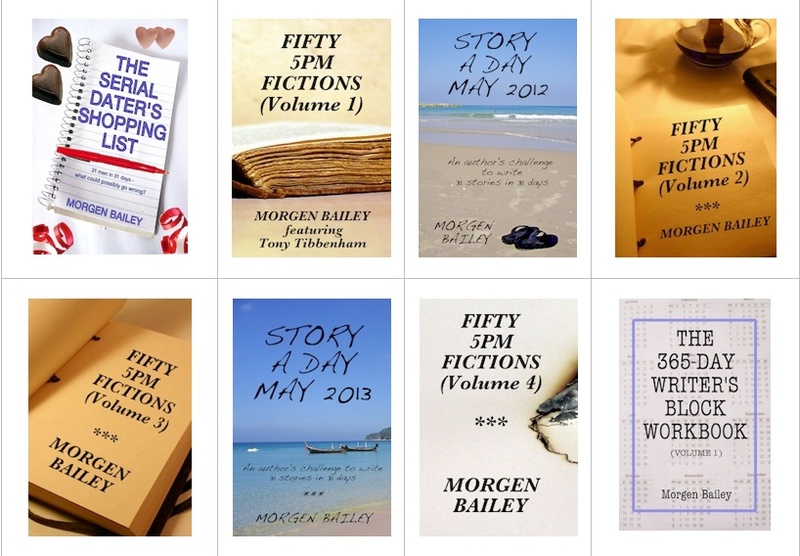 My warm thank to Morgen Bailey for inviting me for the second time to write as a guest on your very interesting blog site. First a disclaimer; I’m not a physician, a nutritionist or a fitness instructor. I’m an expert on one thing only: myself. What I say here is based on my observations, experiences about what works for me, about some things I do, which are good and healthy. Writing is mentally, emotionally and physically taxing. At least, it is so for me. Even when my writing flows with ease and I’m in the “zone,” it takes its toll. When I’m done writing for the day, some of my characters live on in my mind. I dream about them. Awake, I think about them, live vicariously through them. The hours spent sitting in front of the computer affect my whole being. Those hours adversely affect my heart and blood circulation, mental acuity, eye sight and digestion. Years ago, when I was no more than a wannabe writer, I would spend on an average five hours in a stretch in front of the computer writing. One day, as I got up from my chair, it was as if I received a hard slap in the groin on the right hand side. The slap that reverberated throughout my whole body. Trying to go to the phone to call my husband, my right leg was sluggish. Walking the short distance from my office to the hallway produced pain in my leg, like a strong compression. I knew something untoward had happened. The next day, when I saw a vein specialist, I learned I had a thrombosis in the right femoral artery. Through the discussion with the physician, it was clear to me that all the sitting was, to a great extent, responsible for the thrombosis. What a wakeup call! If I wanted to continue writing, if I wanted to enjoy good health, lots of things in my lifestyle had to change. I enjoy writing and of course I want to be in good physical and mental health. I no longer spend non-stop hours in front of the computer. I write for about an hour, then get up and do something. I fold laundry or walk in the yard or go for a swim in the pool, since I’m fortunate enough to have one and live in a climate where swimming is possible all year. Since the incidence with the thrombosis, I’ve changed eating habits. I’ve learned to like the foods that are good for me. I no longer cry in front of a cheese display because I can’t have all the cheese I want. No more fatty foods. No white bread, pasta, pizza, cookies or candy. I like a good night’s sleep, so I avoid drinks with caffeine. My diet consists to most part of vegetables—the greener the better—lean meat, fish and fruit. I love, but I eat if in moderation because most fruits contains a lot fructose, and I want to keep my weight down. Most importantly, I work out; two miles in half an hour on the treadmill, backbends, some work with dumbbells, at least three times a week. To say I like it is to tell a lie, but I love the sense of wellbeing after a workout. I love the sense of security workout gives me that I do the best I can to prevent my body from breaking down. My writing doesn’t suffer from the time I spend working out or the pauses I take. On the contrary, I believe my writing flows with less effort after a pause to do something to increase my heart rate and get the blood flowing. Following this exercise regimen and food plan, I’ve been able to write a number of articles on alcoholism and drug abuse. I’ve finished and published two books, Life Is A Foreign Language and, out in May 2013, The Wooden Chair. My third novel is fully finished, all of 105,000 words from which I’m trying to lose about 5,000 before it goes to an editor. If you who read this are a writer and want to claim health on your side, get off your chair, do some knee bends, take a brisk walk down the street and back, anything to set the heart to beating. If you’re not a writer, do the same thing. I don’t really enjoy working out, but I do it because it’s good for me. It’s like a meal; you eat the things you like less first, so you can have your dessert. The thing I like least is working out, but I do it to so I can get to my writing, my dessert. 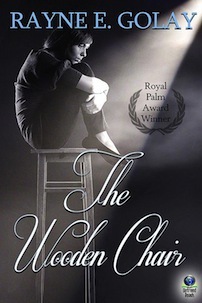 Rayne E. Golay, www.raynegolay.com, Author of The Wooden Chair’ and ‘Life Is A Foreign Language’ (available at Amazon, Barnes and Noble, Kobo Books, Untreed Reads). Thank you, Rayne. Great to have you back. Rayne was born in Helsinki, Finland, and grew up in a multilingual home. After graduating from college, she studied psychology at the University of Helsinki. In 1967, she moved to Geneva, Switzerland with her then husband and their two small children. As clinical psychology and experienced public speaker she worked close to thirty years in a multinational company as addictions counselor with responsibility for their subsidiaries in most European countries. In this job, she facilitated workshops, developed educational programs, wrote two non-fiction books, co-authored a film script and lectured on chemical dependence. From early childhood, Rayne read; the American classics, the French, the Russian, modern American literature, poetry. Since early retirement she has been writing and taken different courses and workshops in creative writing. 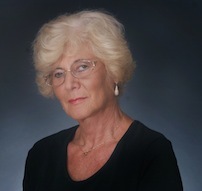 Rayne is active in critic groups, Writers’ Village University and a member of Florida Writers’ Association. Rayne didn’t read the one book that made her want to become a writer. With her education and experience as a psychologist she writes about real people for real people about those painful life situations that are talked about in hushed tones. She shows her readers that no matter how bad a situation may seem, there is a way out; the prerequisite is the desire to change. If asked why she writes, she says it’s because she cannot not write; writing is a passion. Since her second husband passed away after twenty-five wonderful years she writes full-time and lives both in Geneva, Switzerland and Florida. My warm thanks to Morgen for inviting me to guest blog here for the second time. It’s a pleasure working with you. You’re very welcome, Rayne. Thank you for contributing again.